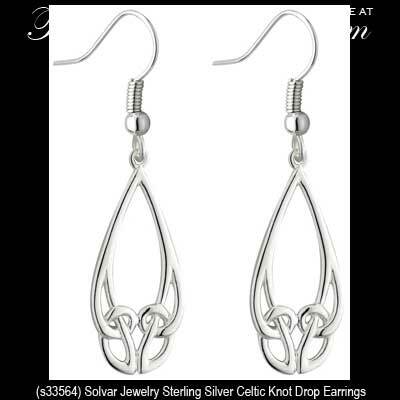 The Celtic knot-work on these sterling silver drop earrings features looped Trinity knots. These sterling silver Celtic earrings feature the filigree knot-work of interwoven Trinity knots with rounded angles. The Celtic drop earrings are on fishhook wires and measure 1/2” wide x 1 1/2“ tall, to the top of the wire.